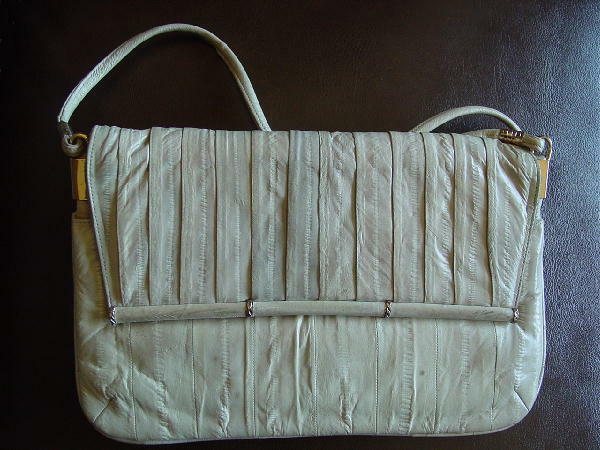 This vintage cream-gray celery eelskin purse has a light gray suede lining and an interior zippered pocket with gray patterned fabric lining. The front flap closure has a curved bottom bar with 4 small gold-tone rings as accents. The flap has twelve 3/4" pleats and a magnetic snap closure, and there is an exterior front open compartment that is also lined in the gray patterned fabric. 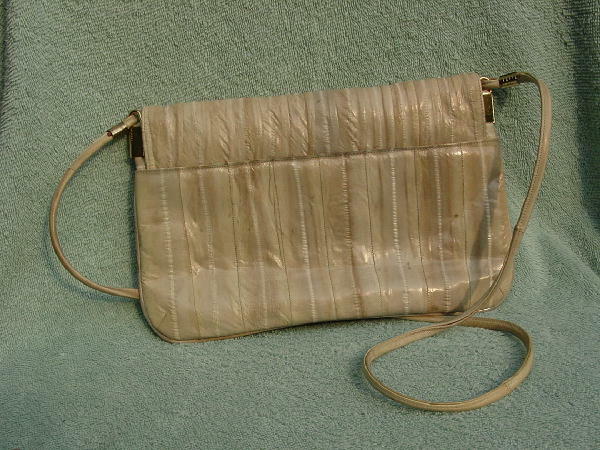 It has a matching rounded 40 1/2" shoulder strap attached to the purse by gold-tone hooks. The suede lining has some ink marks. It was used in a photo shoot for a magazine.